The Art of Makeup 2004 was established November 8, 2004 in Orlando, Florida. The Art of Makeup 2004 is a network of Artists who have banded together to fulfill all of our customers makeup needs, both imaginary and practical. We are currently based in Atlanta GA with artist available throughout the US. Our artists have specialized skills in all aspects of makeup artistry. Our mission is to provide outstanding customer service while bringing your imagination to life through makeup. 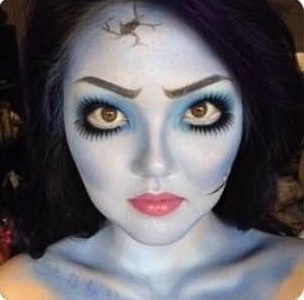 We offer a variety of makeup services everything from every day wear it anywhere makeup to FX special effects. Our talented artists' have credentials such as providing makeup for the BET Hip Hop Awards, Trumpet Awards, BET Awards, New York & Miami Fashion Week, television talent such as Golden Brooks of Girlfriends on BET, Rickey Smiley's Dish Nation on FOX, musicians such as Big Boi of OutKast, singer Nivea, Lady Chablis (from the movie "Midnight in the Garden of Good and Evil"), celebrities such as Serena Williams, Chef Asha Gomez, and Thomas Mikal-Ford. Browse our website. If you are in need of our services, please send us a message for pricing and availability. Let us bring your inner beauty to life.